Automatically before sending your message and at any time, you can launch the "check campaign" tool. This will ensure that all elements of your campaign are complete and that nothing has been forgotten! In addition: it will give you tips to maximize the results of your campaign. 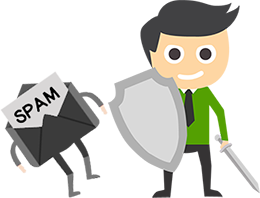 OxiMailing has one of the most advanced antispam analyze available on the market. Before sending, launch the analysis that will not only make sure your message does not contain problematic element but will also analyze all the technical settings: your domain name, configuration and reputation! 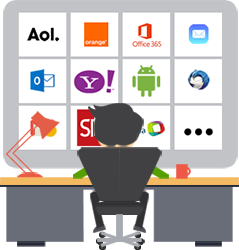 The Email Preview is an exclusive service that will allow you to check the appearance of your message on more than 50 email reading tools, including mobiles and tablets. Ideal to ensure you that your message will appear well on the Gmail webmail and on an iPhone! We do additional controls that, among other things, detect the presence of suspicious addresses, no unsubscribe link, phishing attempts... All is done to preserve the reputation of the platform in order to keep providing our clients with an exceptional deliverability. No more dead links! This tool ensures that the links in your message are valid. When your campaign is ready, before sending it to your entire contact list, control it one last time. 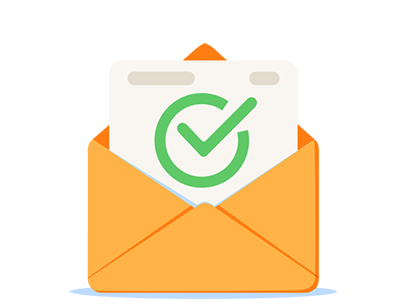 Check that your message arrives correctly by sending test emails to your inbox and those of your colleagues. In addition to the antispam analysis - that gives you tips to improve your message - and the Email Preview - that displays a rendering of your message on a lot of email tools - the Inbox test checks whether your message will arrive in inbox or junk mail on a lot of antispam systems and email providers. 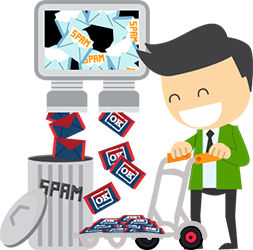 The inbox test is available only in our offers including a dedicated mailing server.